The main sanctuary of the former Palestinian village Balad ash-Sheikh has surprisingly survived until our days. 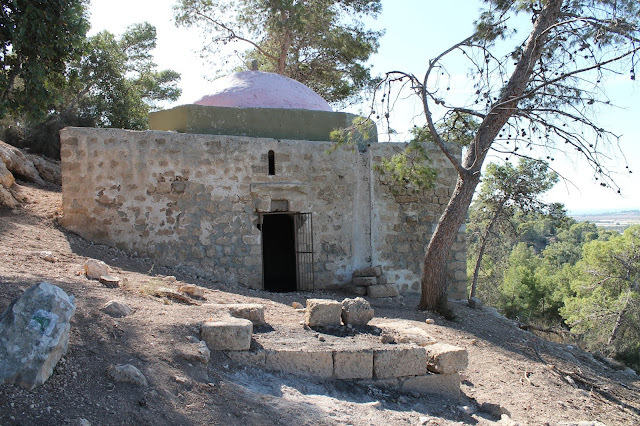 It is the maqam of sheikh ‘Adballah as-Sahili, a famous Sufi scientist at times of a Turkish sultan Selim I (1512–1520). The maqam was built in 19th century, but there is evidence to believe that it was established during the Ottoman period. A. Petersen studied the shrine in 1994, “The tomb stands within a walled cemetery (the wall is modern) surrounded by tall blocks of flats. The south side of the shrine is cut into the rock of the hillside whilst the north side is built on a raised platform. On the south-west corner is a large buttress with sloping sides which appears to be of some considerable age. The main entrance is in the middle of the north side and consists of an arched recess (2m wide) with a rectangular doorway in the centre. Above the doorway, in the tympanum of the arch, is an opening in the form of an eight-pointed star. There is a smaller entrance on the east side reached by a small flight of steps, although this may originally have been a window. The interior is divided into three cross-vaulted bays. 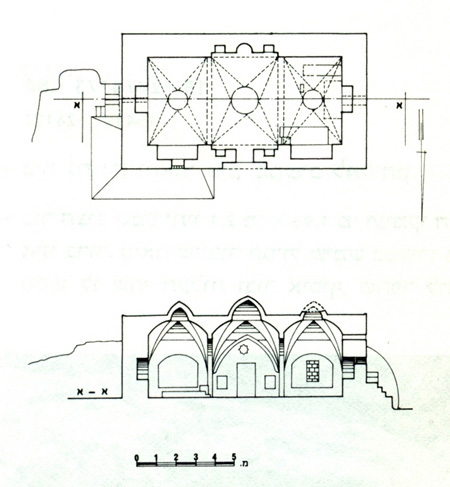 Each bay is roofed with a folded cross-vault with a small dome in the centre. 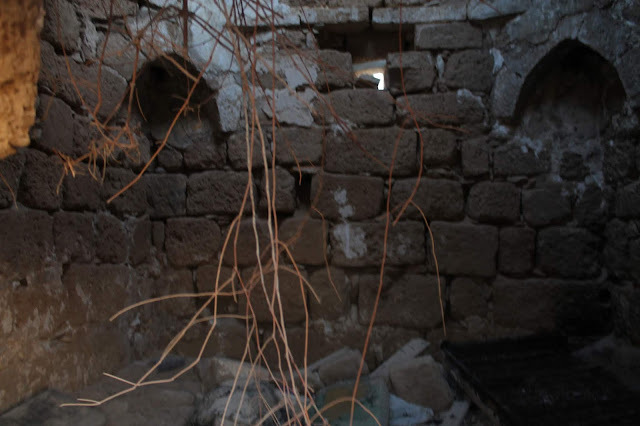 In the middle of the south wall is a mihrab flanked with two square windows. In the west bay there are three cenotaphs or graves, one of which belongs to the shaykh. Ronen and Olami (1983, xvii, 40) refer to a rock-cut mihrab and steps leading to the roof of the shrine although neither of these was visible in 1994” (2001, 108–109). 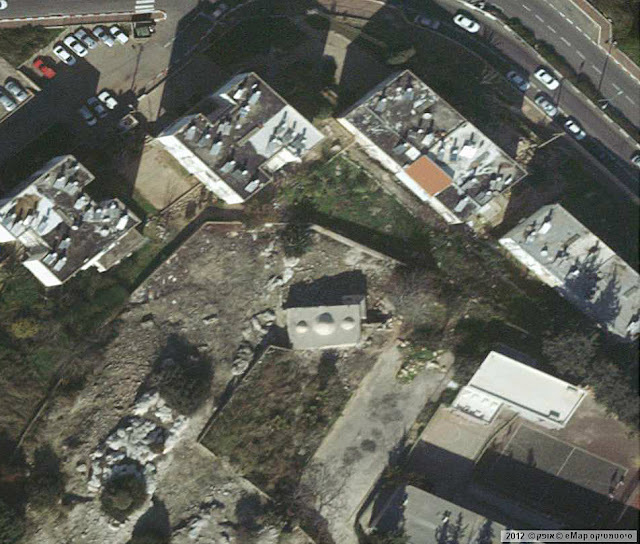 We should add that there is no sigh of a cemetery, which used to be around the maqam, is left. Now the site in front of the maqam looks like a solid hard rock covered with grass and collapsed stone blocks. There is no tombstone there. As well as there is no plates or indicators with information about this shrine. The entrance to the maqam is beset by a iron bar, but in the E wall there is a big breach through which you can get into the shrine without any obstacles (what we actually did). Route. 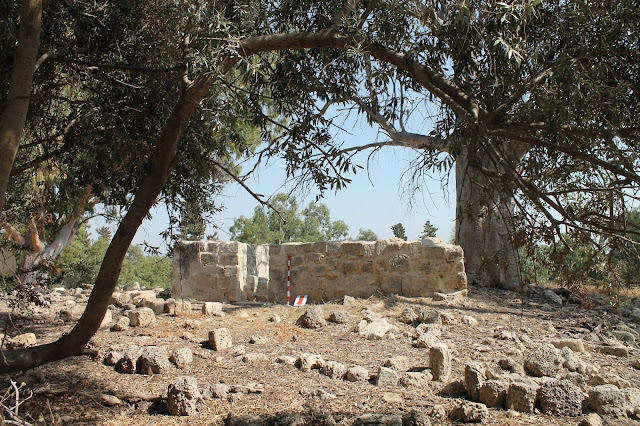 An Israeli city Nesher now stands on the place of Balad ash-Sheikh. 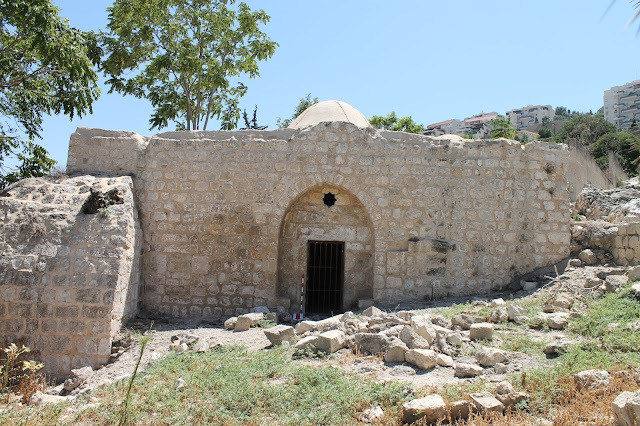 The maqam of sheikh ‘Abdallah as-Sahili is located in the beginning of Zahal street, in the quarter, but it`s better to reach it via a lane leading to Giv‘on School. 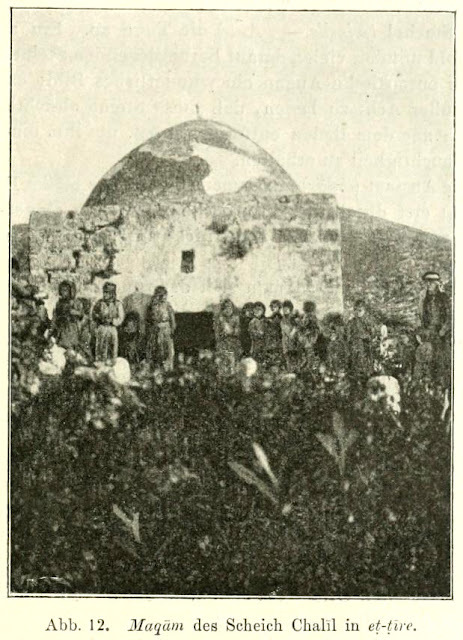 A German traveler, E. F. Mülinen was the first who reported about this maqam in 1908. 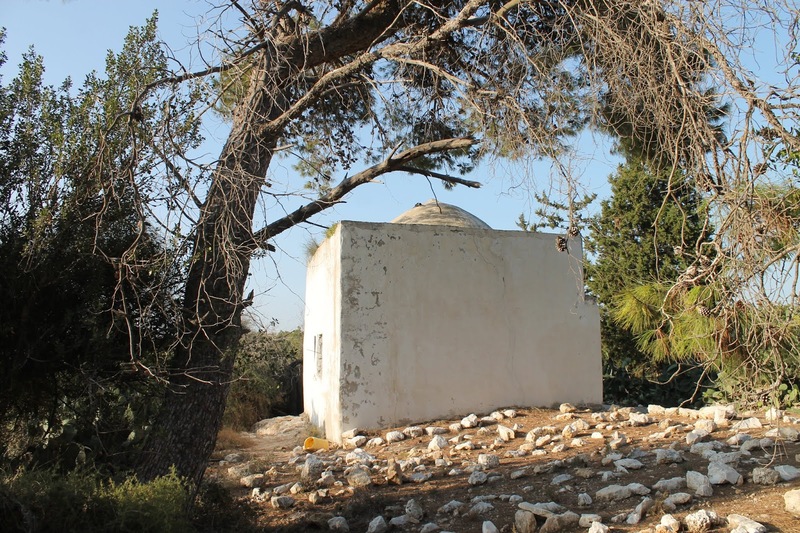 When describing Palestinian village Jeba‘, he commented, “The maqam of sheikh Amer dominates the eastern slope of the mountain (Im Osten am Bergeshage). There is an inscription saying, “it was Ahmad al-Hamidi who ordered this structure on this place, in 1232 (1817)” (1908, 283). It`s worth mentioning that in the early 20th century this building looked like a new one. 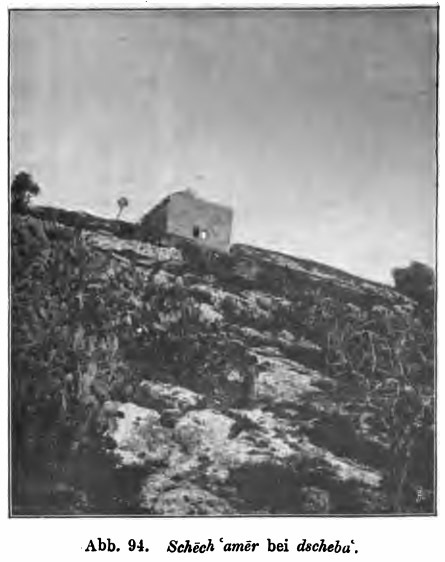 Before, when C. Conder described Jeba‘, he did not mentioned any shrine. The maqam appeared on the PEF map (Sheet VIII), and also in Palmer`s list (1881, 152). Actually, the maqam of sheikh ‘Amir is located on the western, not eastern, side of the hill. Now it can be considered as a newly built shrine. 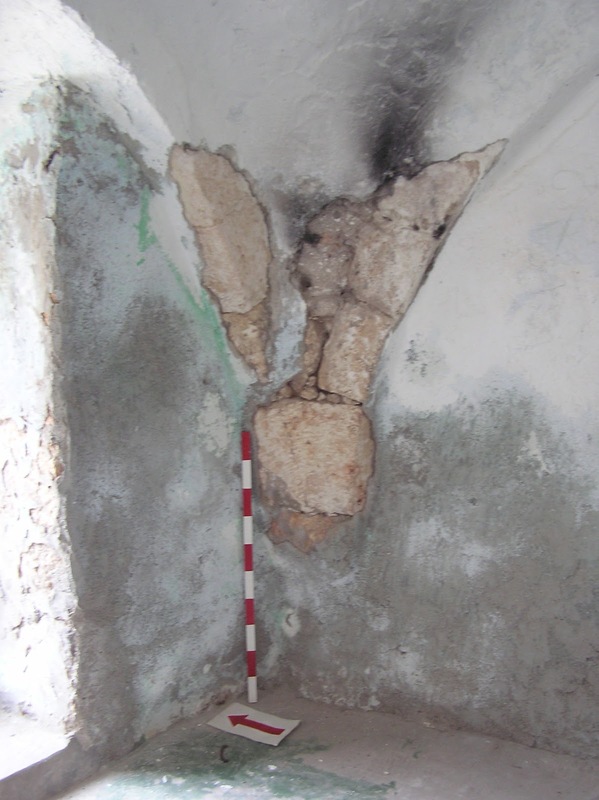 The initial blockwork survived only in one place of the N wall, from the entrance to the right. There is also a waterway, it is not known if it was since the very beginning. No other inscriptions are observable in the maqam. It is quite a huge building (11 x 9 m), topped with an octagonal dome. There are curved arches inside the maqam, a small mihrab – in the S wall. In every wall there are small loophole windows. Route. Tourist call this maqam “Sultan's house” due to its size. 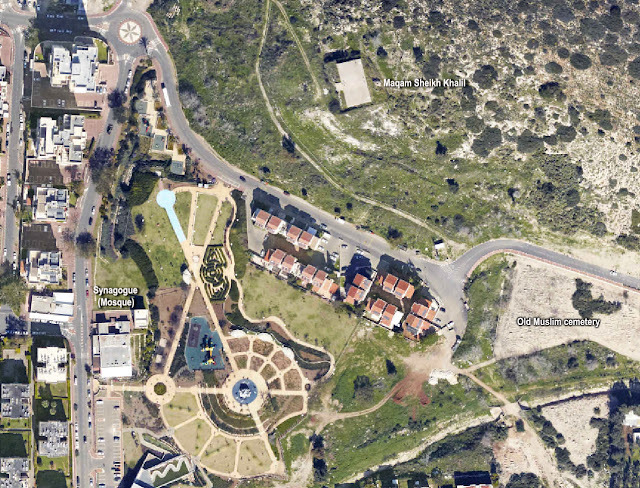 It stands near Shvil Israel, opposite Geva Carmel and Tzrufa moshavs. An asphalt road leads from Highway 4 to Mizpe Ofer. From Mizpe Ofer we head to Shvil Irsael to the north around 0.5 km till a path with blue marking. We follow this path to the west and reach the maqam. First sheikh Hilu was a name for a small Palestinian village. 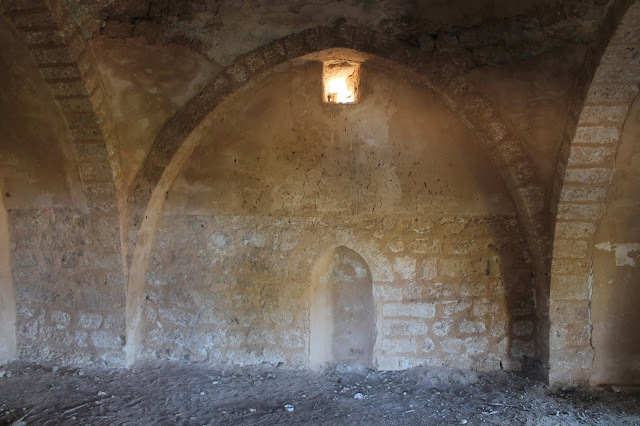 “Sheikh Helu — A few mud hovels near the Mukam. It is not noticed in the official list of the district”, — C. Conder noticed (SWP II 4). In the beginning of the 20th century the village ceased to exist, and around the sheikh`s tombs there was a Muslim cemetery on its place. The residents might have left the village due to enlargement of a Jewish settlement Hadera which was established in 1890. It is difficult to say what was left from the original memorial. 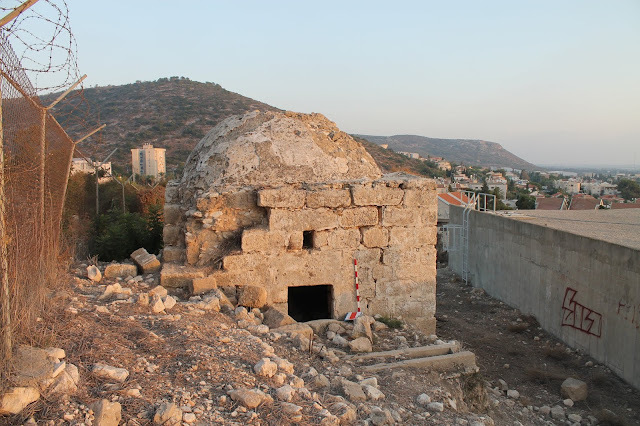 The Archaeological Survey of Israel says “the tomb is built from dressed stones of secondary use.” It`s worth mentioning that a while ago the maqam was in ruins, then the Muslims started to restore it. 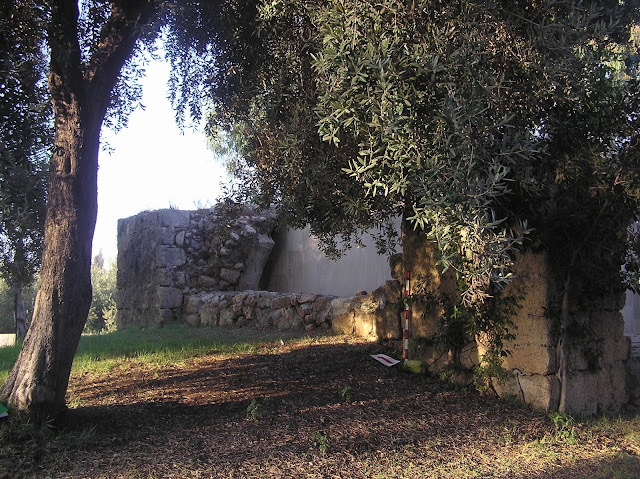 Now the walls are 1–1,5 m high. 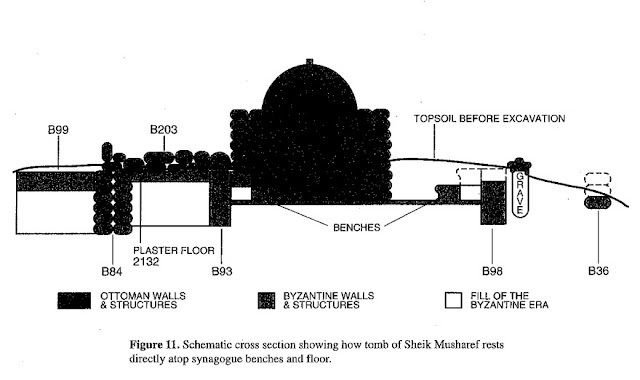 The N wall is 5,80 m long, the E – 6,20 m, S – 5,70 m. Three cenotaphs were re-erected inside the maqam. 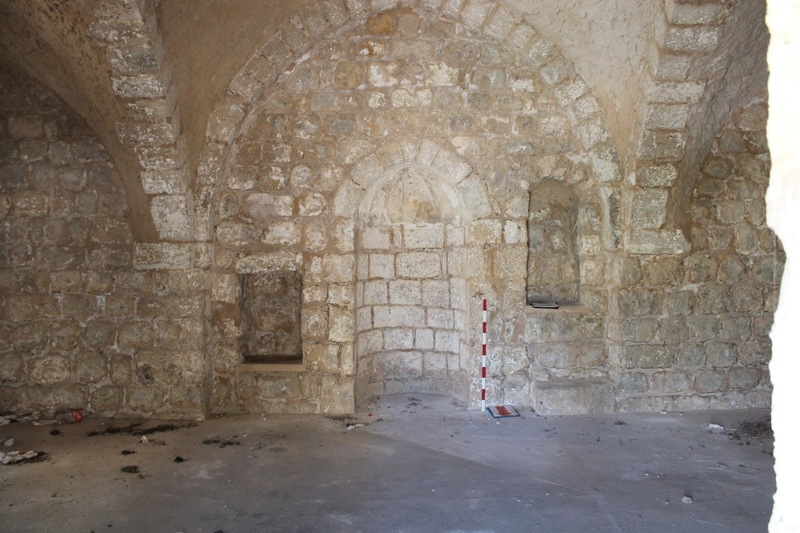 A rounded mihrab is located not in the centre of S wall, but a bit to the left. 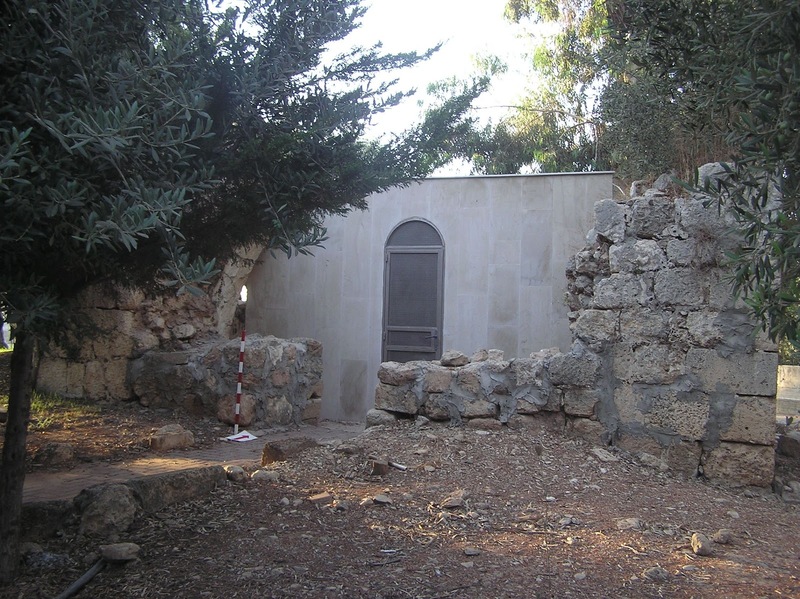 There are the remains of the Muslim cemetery around the maqam. Route. 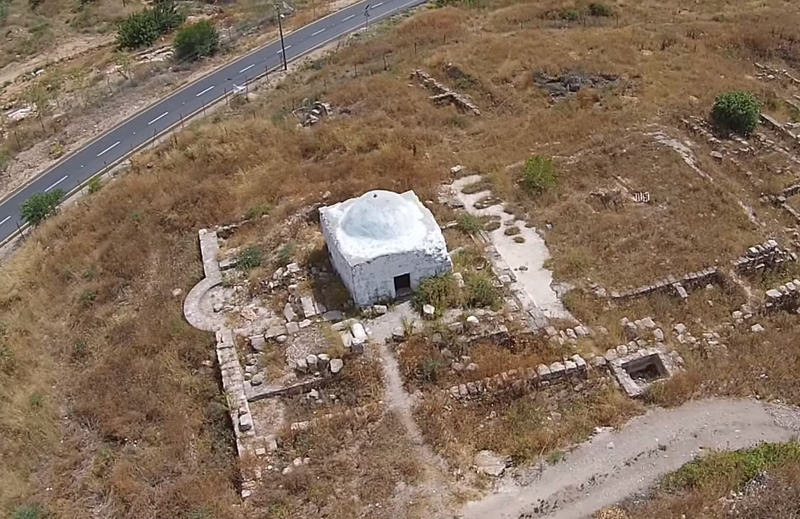 It`s not easy to find the maqam, though it is marked on the city map of Hadera. It is not a tourist place, and nobody comes to it except rare Muslim pilgrims. 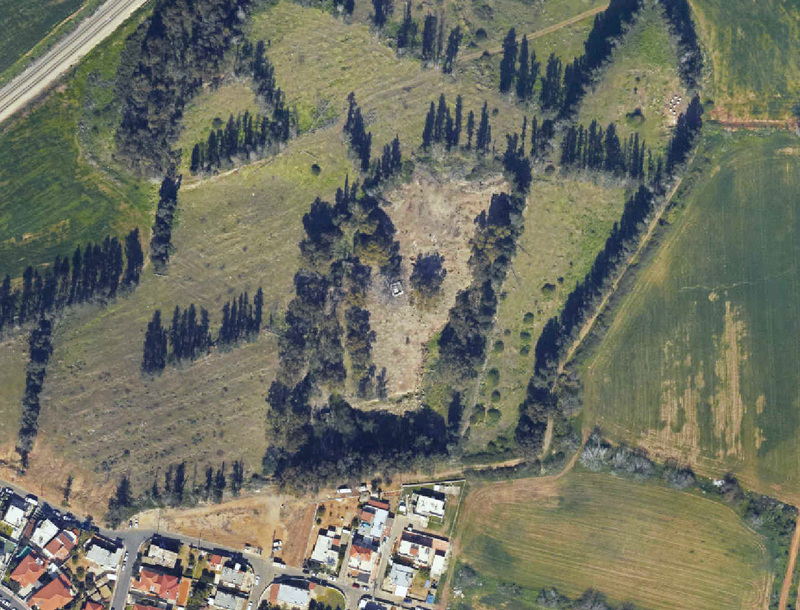 In Hadera you should take ha-Giborin street until its northern end where urban area ends and plantation forests start. 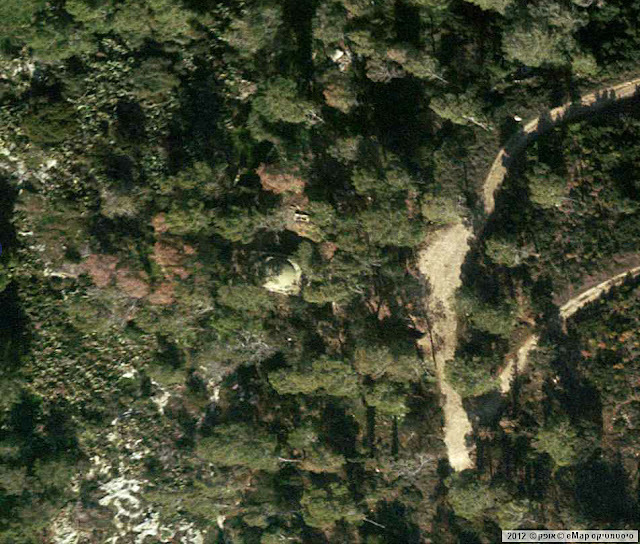 A deep non crossable ditch circles it almost all round. You can reach the cemetery only from the S side taking a hardly observable path though the loop-hole in the metallic bar fence. 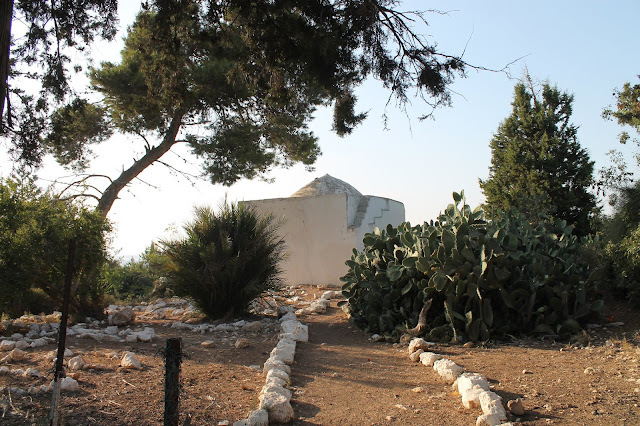 When describing a Palestinian village at-Tira in Haifa district, the explorers of 19th–20th centuries often mentioned the maqam of sheikh Khalil, “A village, at the foot of the mountain, with fine olive-groves round it, and a well on the west and a Mukam on the north. It is built of mud and stone, with numerous caves in the hill by it” (SWP I 285). “A bit higher, at the top, near caves there is a dome which decorates the maqam of sheikh Khalil; within the village there are also two holy tombs: one of shiekh Rabi‘a and another of sheikh Idrar” (Mülinen 1908, 150). 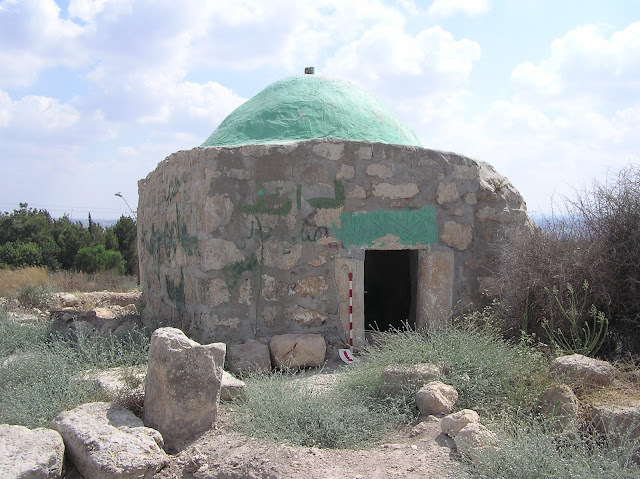 Among all the Muslim shrines of at-Tira only the maqam of sheikh Khalil has survived. It actually stands to the north from the village, on the slope of the hill, where there are still some caves. 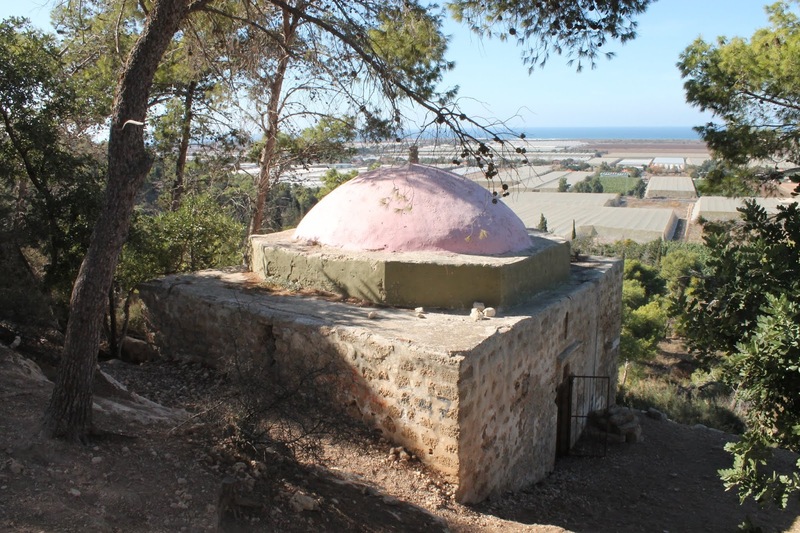 The maqam is quite small (4.45 x 4.55 x 3,90 m). The walls are made of big stone blocks “kurkar”. 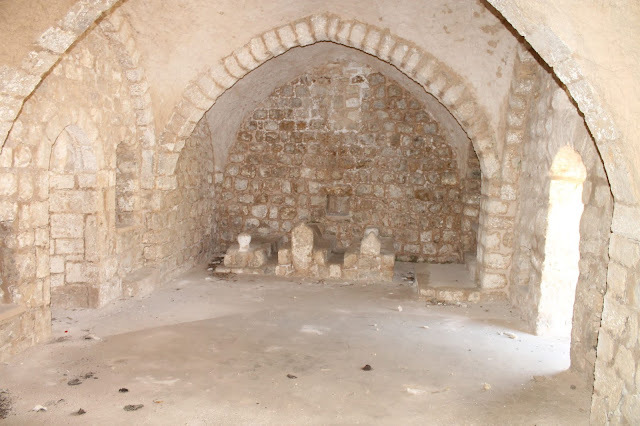 A low doorway in the N wall leads to a cramped domed chamber without a mihrab or cenotaph. Over the doorway there is a narrow window. The corners of the walls are decorated with squinches. In the dome there is a wide hole used for lighting. The memorial is in quite good condition. 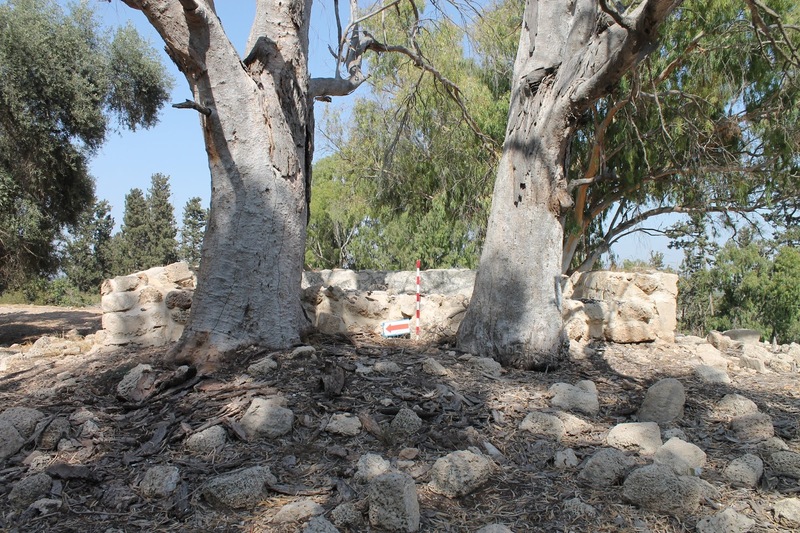 The residents of Tirat-Carmel use it as a waste disposal. Route. A city park Nahal Galim is the centre of the former village at-Tira in Tirat-Carmel. 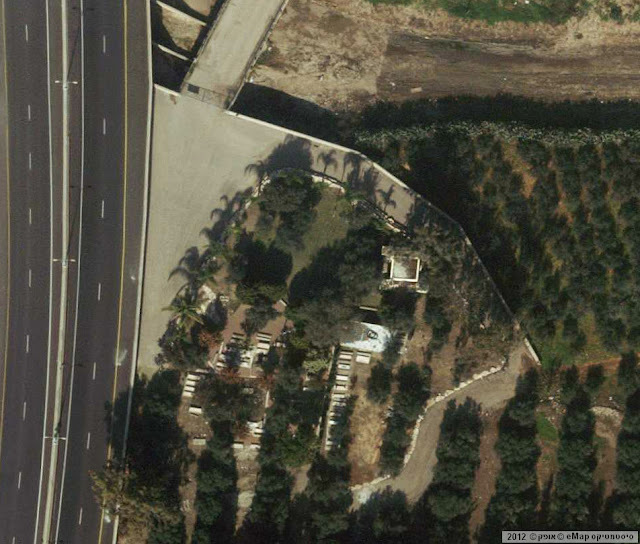 There is a Muslim cemetery to the east from it, on the side of the hill there is the maqam of sheikh Khalil. 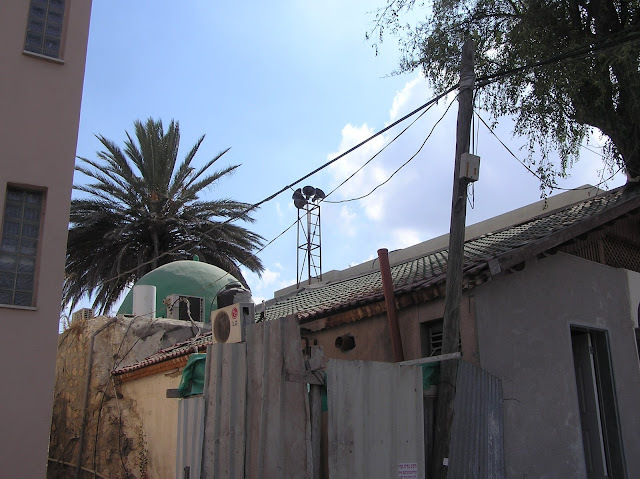 The maqam is almost unobservable from the street, as it is hidden with a big reservoir. You can reach the maqam via two paths, both quite steep and difficult for pedestrians. 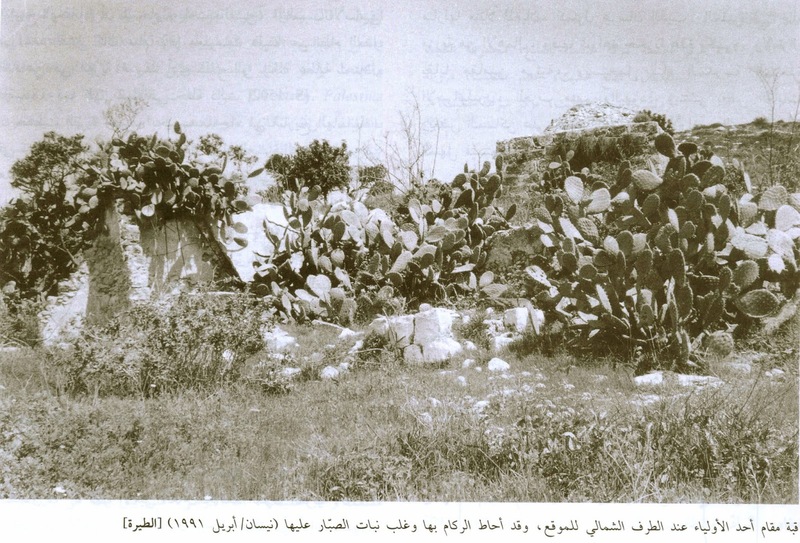 C. Conder says about Khirbet al-Jelameh: “A small domed building stands in the ruins” (SWP II 197). If he was talking about maqam sheikh Mas‘ud, we should say that now this construction is whole, thoroughly restored. 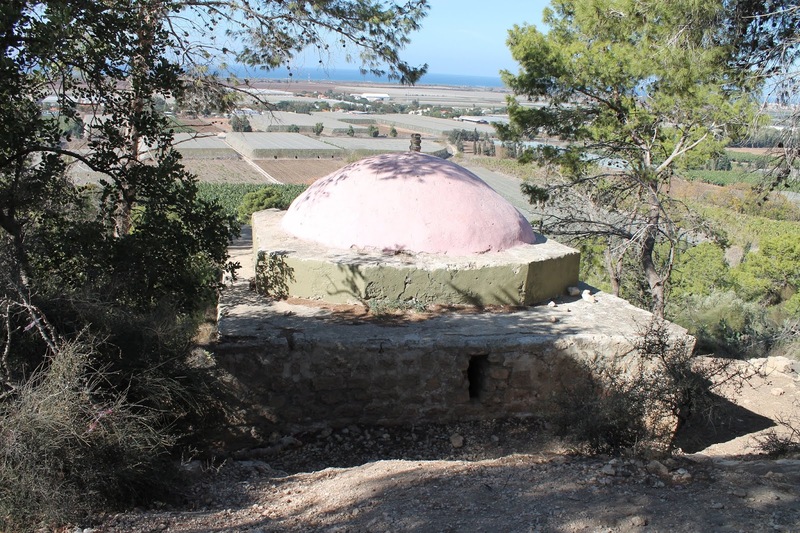 However, nowadays only the back side of the maqam is visible. In front of the entrance, right next to the maqam, was built a shop for residents of Jalame – a Bedouin village to the south of Tayibe. Route. Drive along Highway 444, one kilometer short of Tayibe take the left turn into the Bedouin village Jalame and search for the old cemetery. The maqam of sheikh Mas‘ud his is situated among the tombstones. See the exact location on the map. 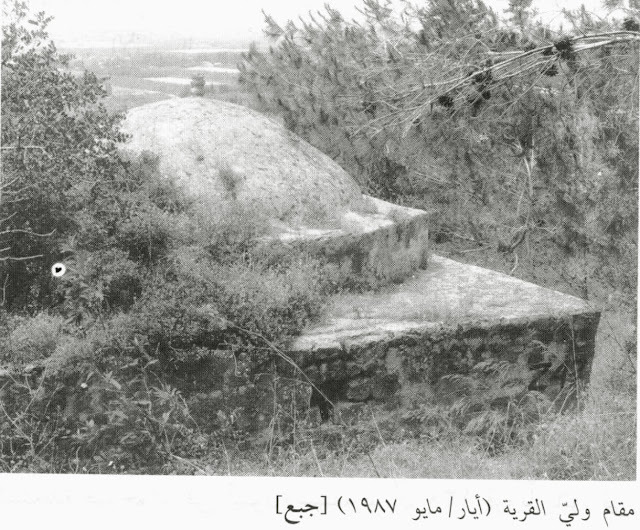 On the map of Palestine Exploration Fund (Sheet XI) this maqam is called sheikh Mesherraf, on the British map of 1941 – Sh. Musharif. These names are represented in the current Hebrew name of it: שייח' מושרף. E. Palmer translated: Sheikh Mesherraf – “honoured” (1881, 191). The maqam dates back to the Ottoman period. For the residents of the nearby Palestinian village al-Majdal he was a local saint. The maqam (5.04 x 5.15 x 3.10 m) was built on the ruins of a Byzantine church, which in its turn had been built on the ruins of the Samaritan synagogue dating back to the 5th century AD. Some of the Byzantine columns became the elements of the Muslim shrine. The cenotaph remained in the maqam but a mihrab is lost. 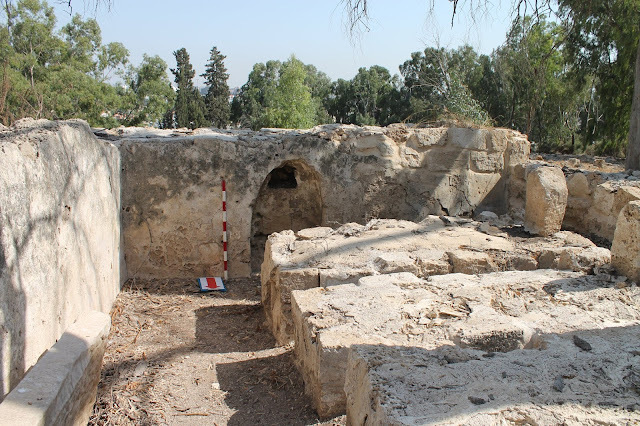 There are the traces of previous buildings: three Samaritan ritual baths (mikvaot), and Byzantine fragments of columns, mosaics, a wine press and a columbarium. Moreover, archaeologists discovered the remains of a small Muslim cemetery around the maqam (Reports 1994, 14). 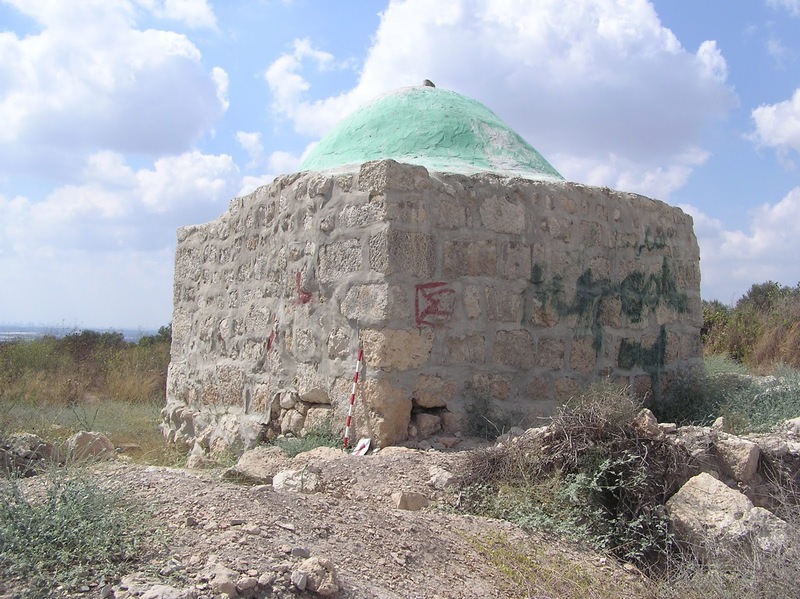 In 2005, the tomb was thoroughly reconstructed by Muslims: the walls were erected again with the use of cement, the dome painted green, the cenotaph also covered with a green cloth. 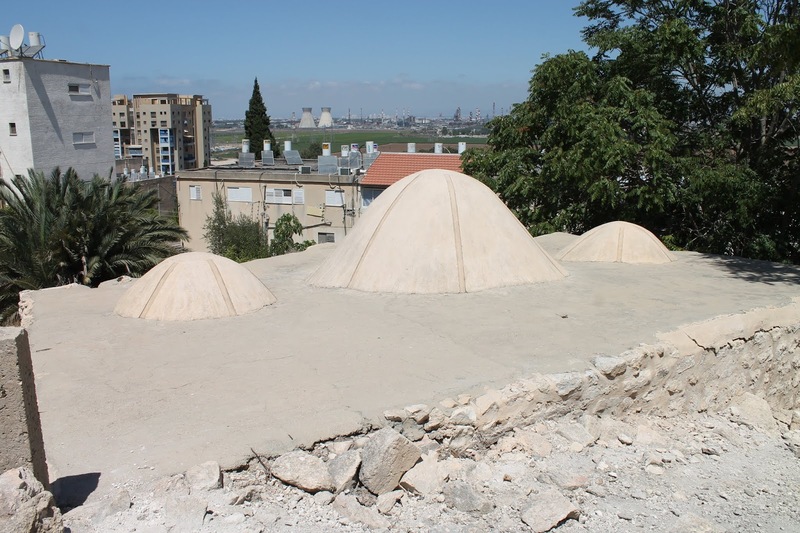 After all these manipulations the maqam of sheikh Musharraf and the tomb of prophet Sawarka, located near Kfar Saba (see Section 2 Tombs of the Prophets), look very much alike. There is an impression that the same people were working with it. 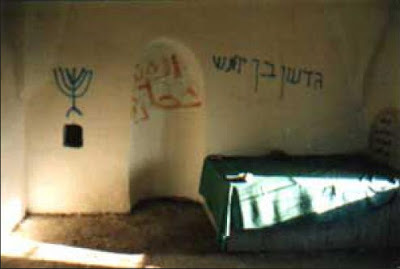 Both tombs have identical lintels above the entrances; both painted green. Finally, small square hollows in the internal walls for icon lamps or lanterns, indicates the identity of the two shrines. 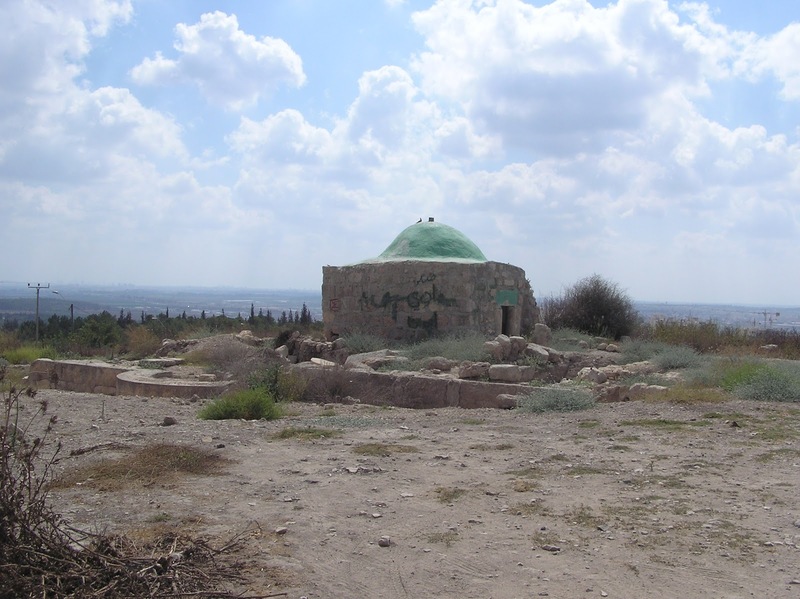 In modern Israel there is an anecdote about sheikh Musharraf: “By the way, the sheikh buried here was known as sheikh Mansur. Where does the name sheikh Mushraf found on maps come from? 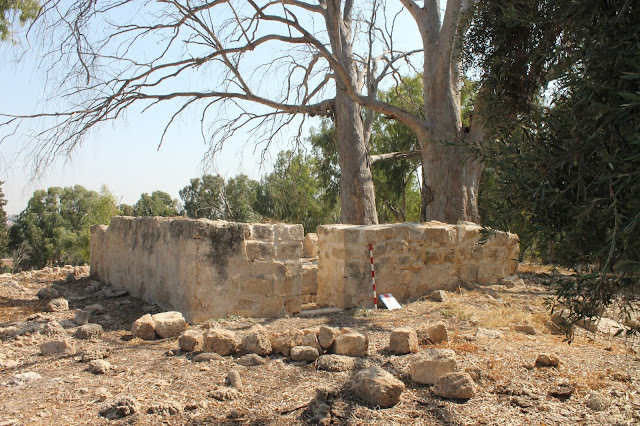 British land surveyors from the Palestine Exploration Fund were aided by a resident of the neighboring Arab village of Tayibe. When they asked him for the name of the grave of the sheikh, he said, “Mush araf” (“I don’t know”). One of the surveyors put the name Musharaf in his notes and that’s how it appeared on the maps of Palestine — Eretz Israel — and still does to this very day”. That is what Israeli guidebooks say. Of course, this is just a funny story. 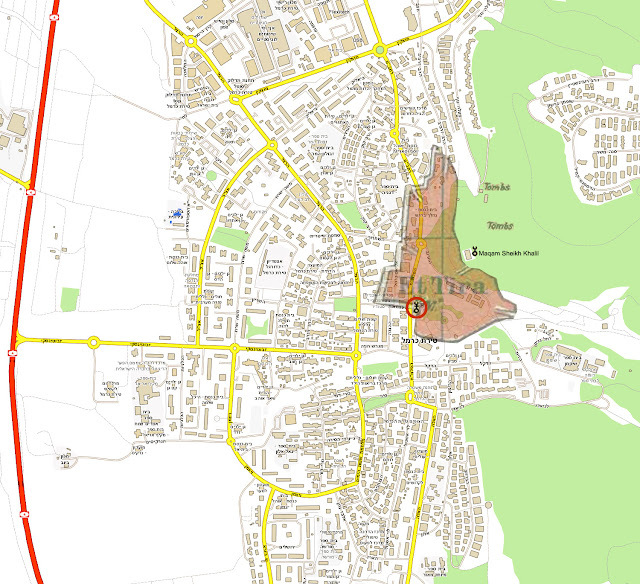 No tomb of sheikh Mansur has ever been in this area. Route. 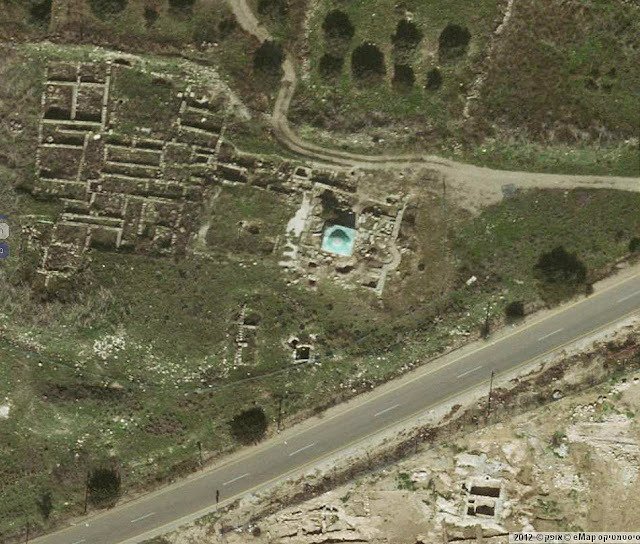 From Highway 444 turn to the Route 5533 and keep straight forward along the last road between the settlement Tzur Yitzhak and Tzur Natan moshav, on the left (north) side. 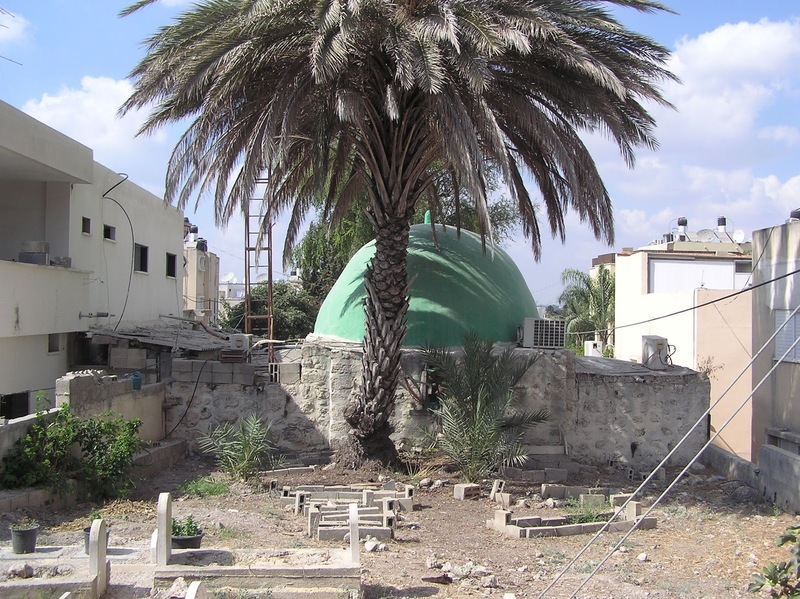 The exterior of sheikh Shahada's tomb looks like a modern building: the walls and the dome are whitened. There are chairs in the building and a tank of water for the guests. However, this maqam is quite old. 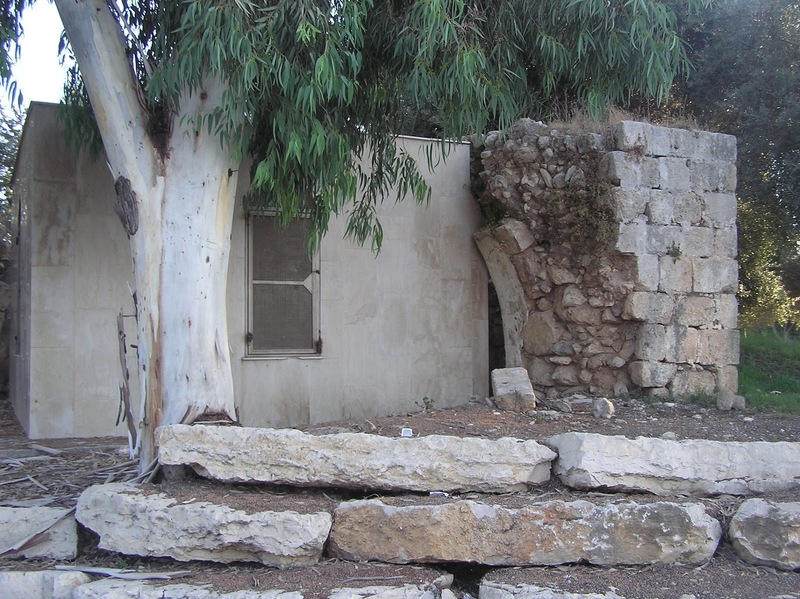 W. Khalidi mentioned it in his book when in 1987 he found this building quite decayed. 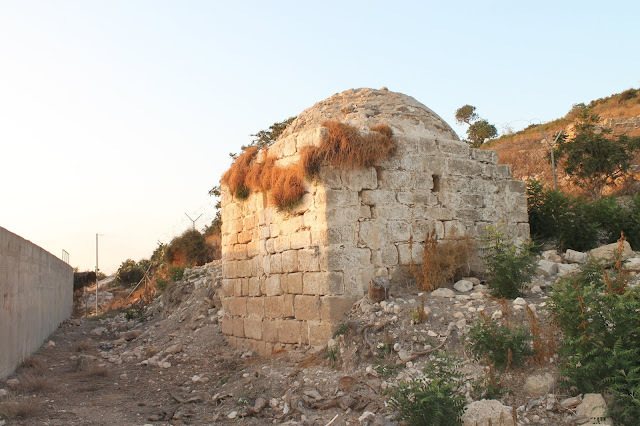 It is the only thing that is left after a Palestinian village ‘Ain Gazal. On the photo in book by W. Khalidi we can see how the shrine looked before restoration. 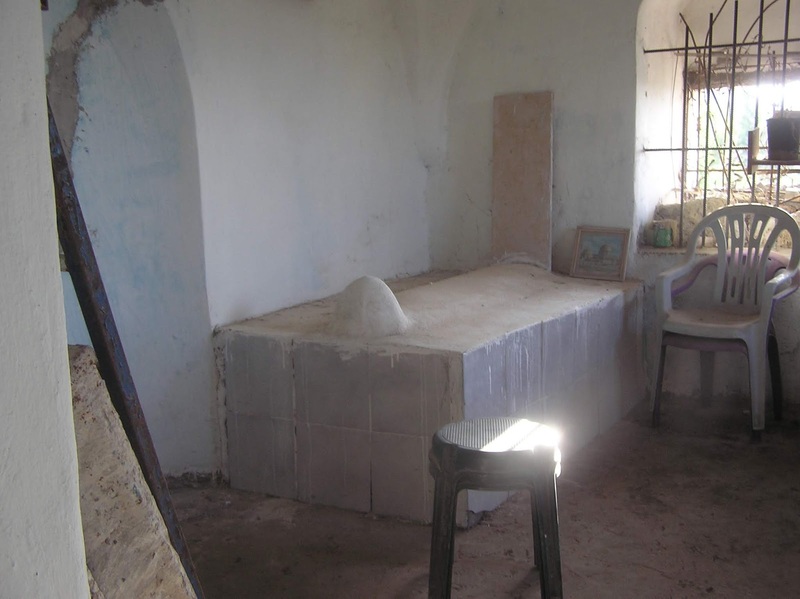 At one time the Jewish tried to appropriate and judaize this maqam, and the 2010 photo proves that. It was supposed to worship this shrine as a tomb of Gideon, son of Joash. 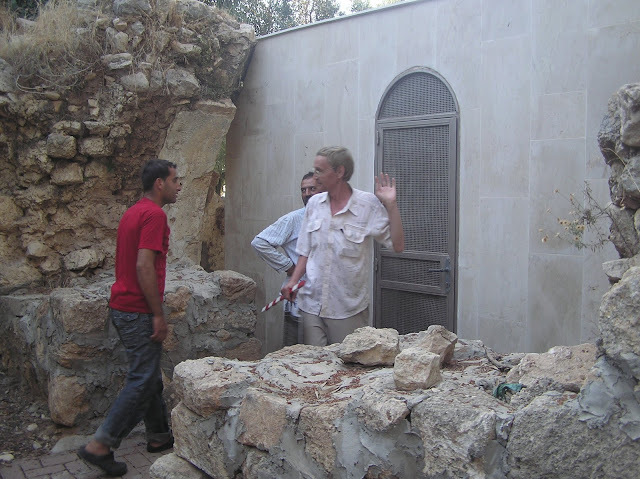 But the Muslims succeeded to defend their shrine. Now a metal bar fence with a lock blocks the entrance. Inside there are Muslim symbols. A new cenotaph is set in front of the mihrab. 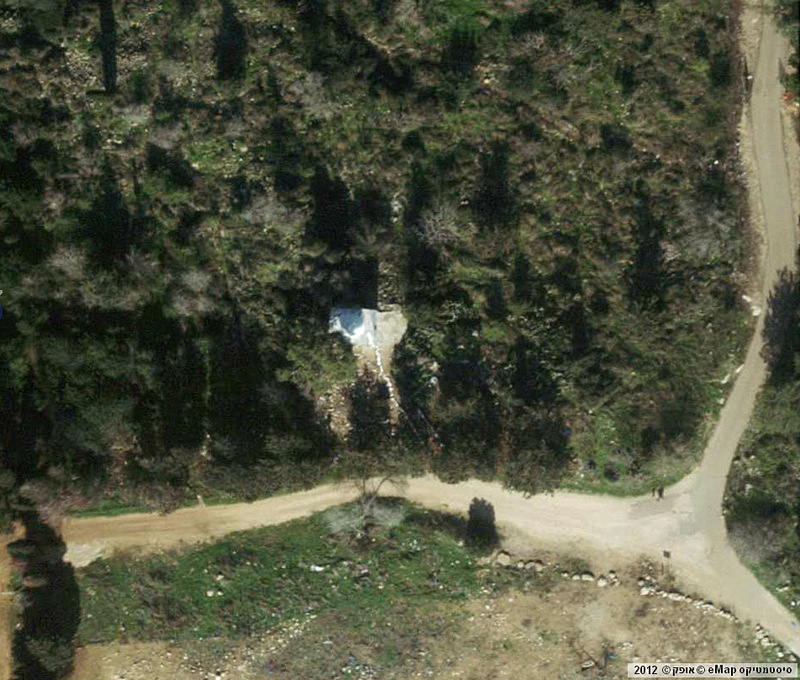 The size of the structure is 5,30 x 5,70 x 3,80 m.
Route. From Ofer crossroad of Highway 4 we take Route 7012 and almost from there turn to the asphalt road which leads to Ofer moshav. We can see the maqam in a km on the right. The maqam is located on the territory of the protected cemetery, but if you solemnly declare to the Arab guards that you’ve come to worship the shrine, they’ll let you in. 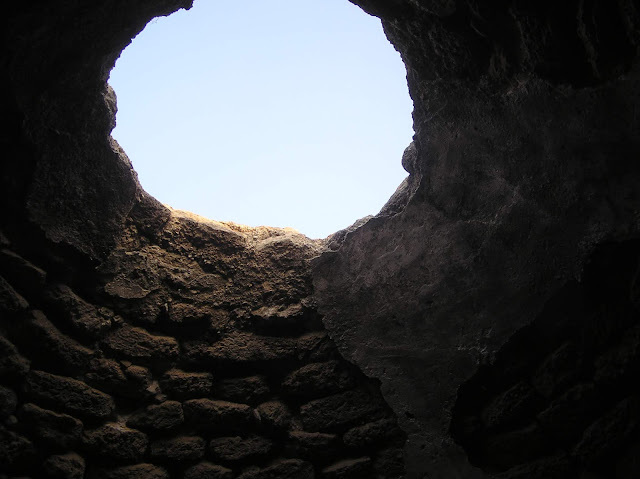 Almost nothing remained from the ancient tomb. Only on the four corners of the maqam on a certain height remained some stonework, but it is restored. The maqam wasn’t fully restored due to the lack of money or some other reasons. They confined themselves to placing an iron cabinet with a door and a window above the cenotaph inside the tomb. 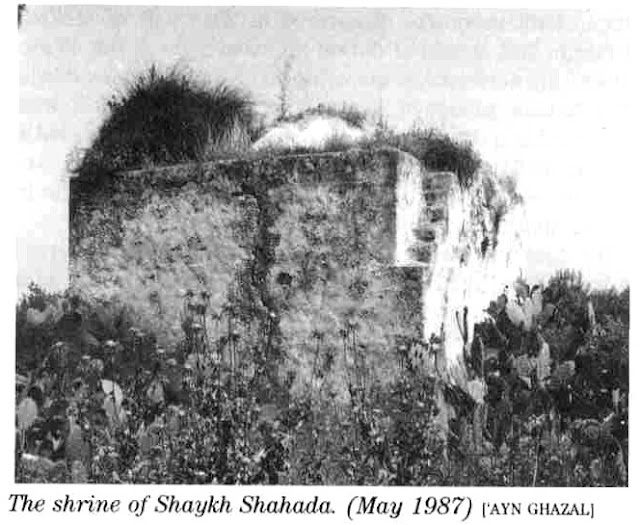 In 1991 A. Petersen saw the tomb in the same condition, though he didn’t state the sheikh’s name (2001, 180). 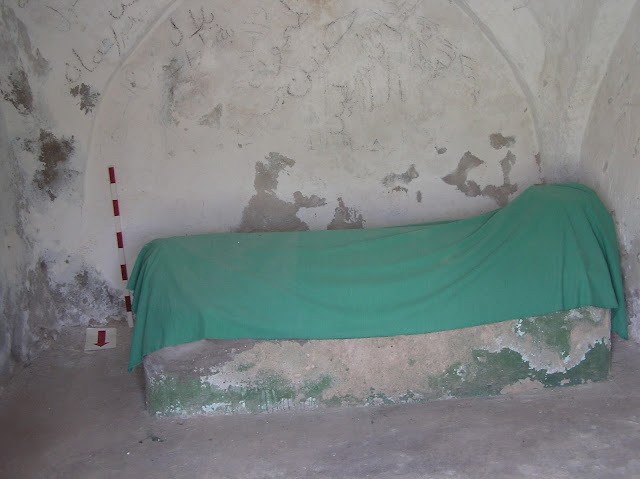 The tomb of sheikh Shams ad-Din al-Aiubi is highly honoured by the residents of the Arab village Jaljulia who take care of it. 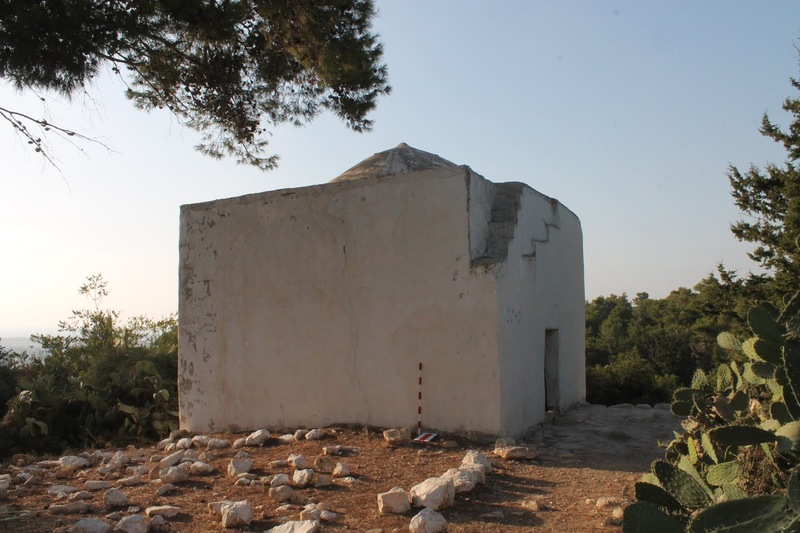 In the list of the landmarks of Jaljulia this maqam is on an important place. 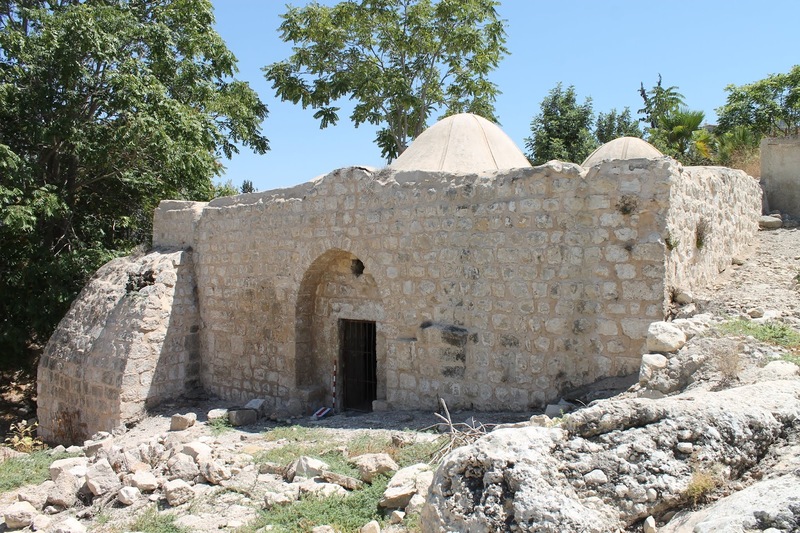 Another place of interest is the mosque of sheikh Abu al-'Awn (see Section 14 Abandoned Mosques: Mosque of Abu l-' Awn). Route. From Highway 444 turn on the road leading to Jaljulia, a little short of the village turn right (to the south) on the asphalt-paved road, and in 500 meters you’ll reach the protected cemetery. These historical places reminds us of our ancestors and their historical living. These places should be preserved properly and looked after by the authorities for the coming generations to see what their ancestors used to have.